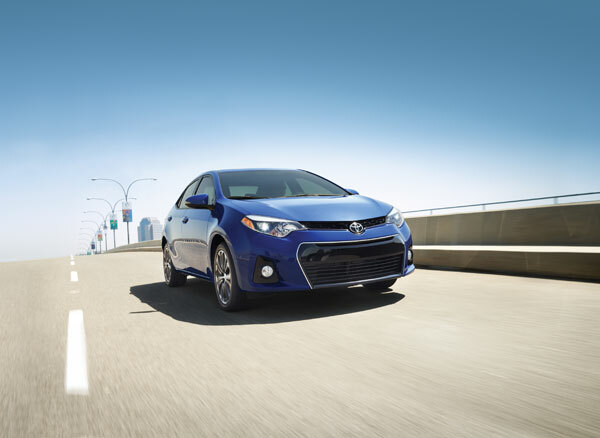 Earlier this year, the 2014 Toyota Corolla fell just a bit short from earning the Top Safety Pick+ from the Insurance Institute for Highway Safety (IIHS). Instead, the Corolla earned the still admirable distinction of Top Safety Pick (which, until this year, was the highest distinction a car could earn anyway). It was the car’s performance in the small overlap frontal crash test that kept the Corolla from achieving superstar status in the IIHS testing. However, National Highway Traffic Safety Administration (NHTSA) says otherwise about the Corolla. The 2014 Corolla NHTSA rating is much needed redemption for Toyota. Achieving a five-star overall safety score, the Corolla did not fail to impress the government-sanctioned administration’s tests. More specifically, the redesigned compact sedan received top scores in frontal- and side-impact crash simulations and a four-star score in the rollover test. Safety features for the 2014 Corolla include the Star Safety System™ (with Enhanced Vehicle Stability Control, Traction Control, the Anti-lock Brake System, Electronic Brake-force Distribution, Brake Assist, and Smart Stop Technology®), eight airbags, Whiplash-Injury- Lessening seats, and an energy-absorbing collapsible steering column. Other notable features include the high-tensile-strength steel body panels, the LATCH child safety system, and the ever convenient Tire Pressure Monitor System. Is the 2014 Corolla NHTSA rating enough to win your affections back, or will it take even more to get you behind the wheel of the redesigned-for-2014 sedan?